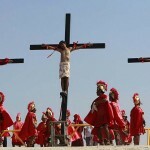 Bloody ritual in the Philippines: In memory of the suffering of Jesus several believers was nailed to the cross. On Good Friday the faithful do remember in this way the suffering of Jesus. The brutal spectacle attracts thousands of tourists. 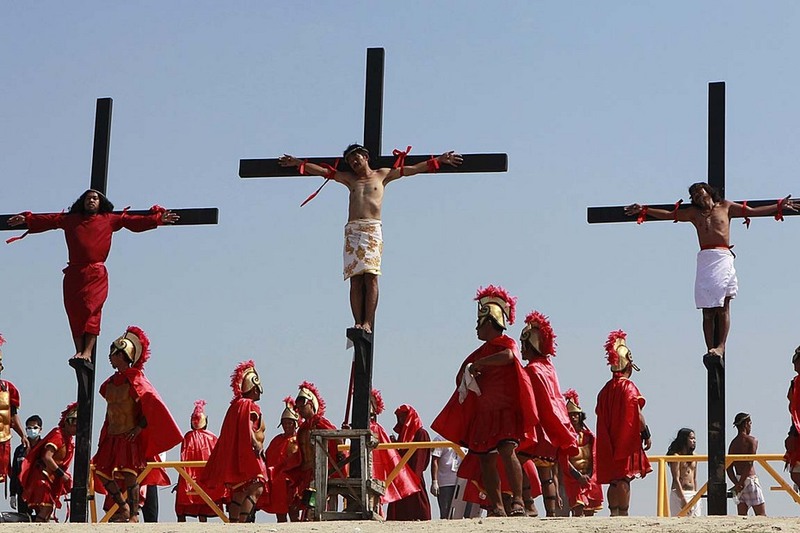 The ritual is a tradition – the Philippines is predominantly Catholic, Easter is next to Christmas their highest Christian festival. 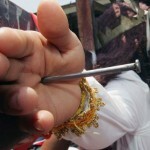 More than a dozen worshipers were nailed to the cross – seen by tens of thousands of spectators. The church condemned the action. 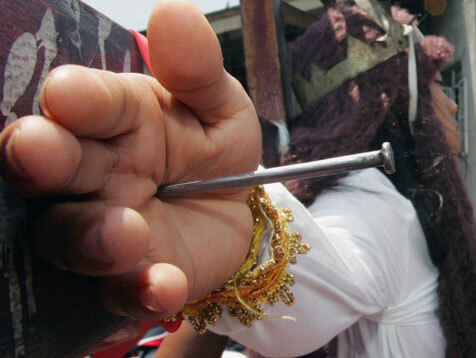 In the provinces of Pampanga and Bulacan, about 75 kilometers north of Manila, on Friday morning dozens of men were already run barefoot through the streets and beat themselves on the back with whips tied with broken glasses at the end. The self-flagellation is intended as atonement for past sins. This entry was posted on Saturday, April 23rd, 2011 at 8:11 PM	and is filed under Culture. You can follow any responses to this entry through the RSS 2.0 feed. You can leave a response, or trackback from your own site.